The number of drivers and cars traveling around Iceland has increased over the years. This is mostly due to Iceland becoming a great touristic destination. Many tourists from around the world decide to come, visit, rent a car or a motorhome and get off the road. Some of them may have quite a long driving experience, some might not. Either way, here are some driving tips for anyone who wish to visit our country. Average Roads: these roads are pretty much bordering the coast line around the country and do not get too deep in. The most famous one the Ring Road (Route N1) that circles the island. These roads are named as Route + their number. 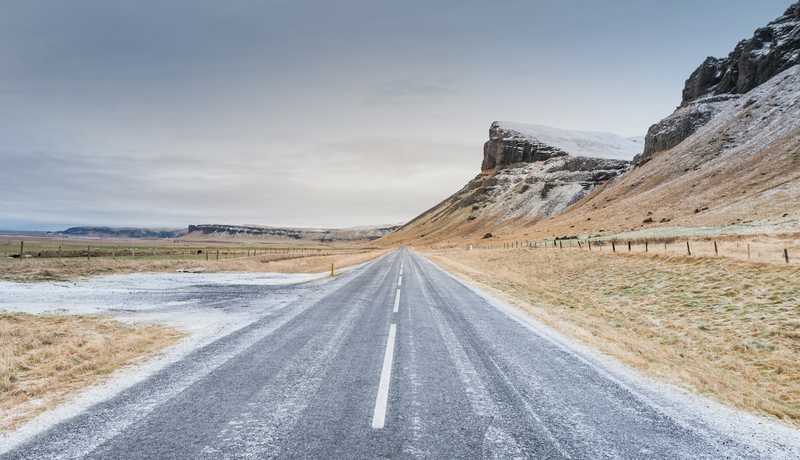 F Roads: Iceland’s mountain, highlands and interior roads, most well known as F-Roads, are rough routes. They go through steep areas, weather conditions in the highlands can be challenging so the roads are not always at its best and therefore completely closed. Fording rivers and also necessary most of the time. Driving tip: to travel through any F-road, a 4x4 vehicle is required. These roads are names as Route F + their number. An important driving tip is not to take these roads for granted, no matter what your driving experience is. If you are not sure about a certain part of the track, just do not cross it, as chances of getting stuck are quite high. Same applies to fording rivers. Many drivers think the water level is not too deep nor strong and they end up being dragged down by the currents or with their vehicle completely flooded. Better safe than sorry. This driving tip applies for both average and F-roads. In Iceland, gravel roads are quite common, as much as damages on windshields due to a stone hitting it. Please slow down, excess of speed may cause not only loss of grip of your vehicle but will increases the chances of your vehicle and others getting hit by the gravels on the road thrown at high speed. Keep focus: it means being able to keep our attention constantly on the road, even when there are beautiful Icelandic landscapes around that can easily distract us. If needed, the best driving tip is to pull over and check the views. Do not drive if you did not have enough rest or if you do not feel well. Do not drive dangerously and do not overtake other vehicles in conditions of poor visibility. Pay attention in winter when there is snow or ice on the road as well as when there is fog or rain. In this case it is recommended to slow down. If you follow this driving tips, we are sure your driving experience in Iceland will be a lovely one.